I first came across Ruth Ozeki in her odd, but powerful, novel, My Year of Meats. My book club read it in 1999, and it has stayed with me ever since. I can’t say that about every book I read so, when I saw that Ozeki had written a new novel, I was anxious to check it out. Once again (spoiler alert), I found her story to be odd, but powerful. 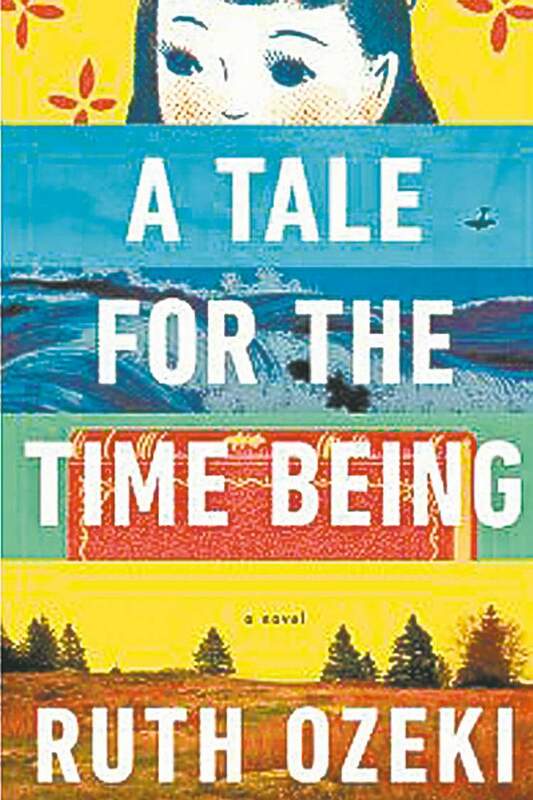 A Tale for the Time Being is the story of an existential correspondence between an unhappy Japanese teenager, Nao, and Ruth, an unhappy woman living on an island off of British Columbia. I use the term existential in the sense of “having being in time and space” (Merriam-Webster) as well as “a sense of disorientation and confusion in the face of an apparently meaningless and absurd world” (Robert C. Solomon). Both definitions play a role in this story as Nao and Ruth both struggle with disorientation and confusion in their lives. If you’re still reading, congratulations, because there are parts of this alternately frustrating and riveting story that made me want to put my Kindle down and play online solitaire. However, the voice of Nao, her story, her hope and her spirit kept me going, just as it kept Ruth going when she discovered this “letter” in a Hello Kitty lunchbox that washed up onshore following the 2011 Tohoku tsunami. …right now I am sitting in a French maid café in Akiba Electricity Town, listening to a sad chanson that is playing sometime in your past, which is also my present, writing this and wondering about you, somewhere in my future. And if you’re reading this, then maybe by now you’re wondering about me, too. And, in fact, Ruth wonders a great deal about Nao, Nao’s grandfather, a WWII kamakazi pilot, her 104-year-old great-grandmother who is a Buddhist monk, Nao’s suicidal father – and, primarily, how Nao’s “diary” made it to British Columbia. Ruth worries about where Nao is “in time” – has she survived the tsunami, are they in the same “present” or is Nao now “past”? « Where Do You Get Book Recommendations? Thanks for the review. I’m always interested in the ways that time-as-an-abstraction contrasts with what we experience. It took me a while to get into this book, but liked it very much in the end – after I realized the time continuum concept. Have not heard of the other title and will look for it – thanks for the tip.